As I’m working on this article, Bayerischer Rundfunk is playing the theme from the movie, “Those Magnificent Men In Their Flying Machines” – how appropriate. 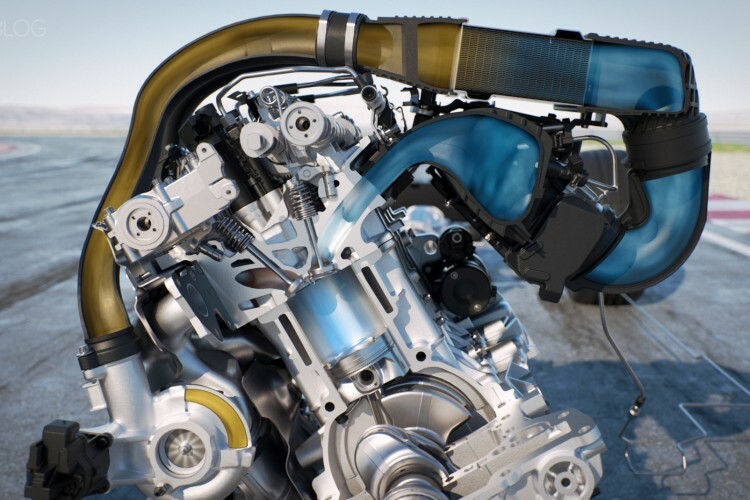 Recently BMW has been teasing us with videos and animations of its M4 engine. 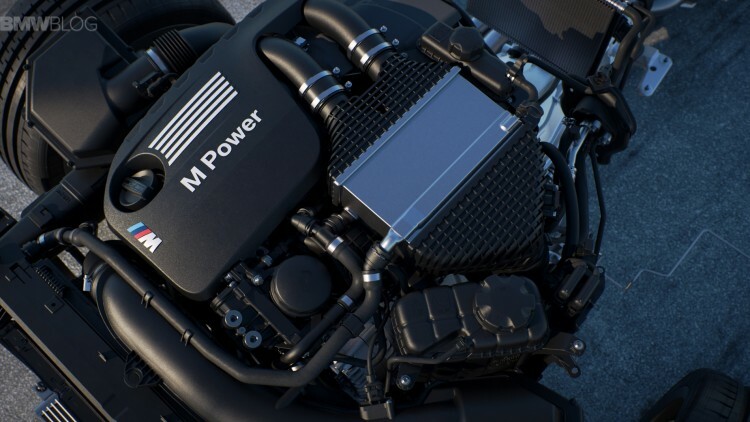 And our affiliate, BimmerToday, is reporting that the upcoming M4 GTS could feature the S55 engine with a water injection kit, which will be used to cool the intake charge. 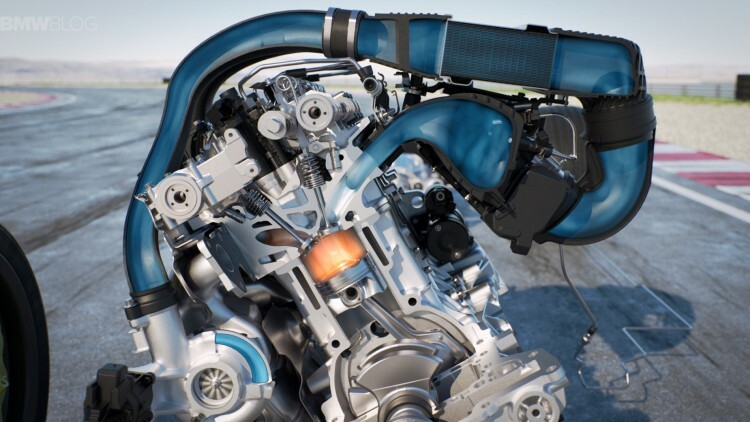 The use of water injection solves a problem that occurs under certain high pressure conditions on forced induction engines. When significant pressure is applied to the intake air charge, the temperature of the charge increases – the act of pressurizing the charge also heats the charge up (squeeze something and it will heat up as it compresses). Inter-cooling has been used to great advantage to mitigate this problem but when you want to increase power (by increasing boost pressure) beyond the capacity of a installable inter-cooler, you need to think about water/methanol injection. The job of the water in the kit is to cool the intake air by absorbing heat when the water is converted from a liquid to a gas (steam). Methanol is often included in the mix for anti-freeze properties as well as methanol’s inherent octane enhancement (anti-knock capabilities). And it is premature ignition (or knock ) that the water injection kit also protects against. Knock can cause havoc in an engine; it is by definition an uncontrolled burn (or a burn of the fuel that occurs without an external spark – the result of an extremely hot combustion chamber). So, to increase boost pressure (and subsequently power) in the S55 variant installed in the M4 GTS, it appears that BMW has decided to implement a water injection sequence under very specific operating conditions. The water is injected (a fine spray where the droplets are so small that almost all of the water in the drop is on the surface of the drop), the heat of the compressed charge air is absorbed by the injected water, which then cools the charge air. And cooler air is denser than hotter air (anyone that’s flown out of McCarran Airport in the middle of summer knows that hotter air is less dense). The water injection process is a delicate balancing act between too much and too little. Too much water injected and the percentage of combustible air decreases, sapping power, too little water injected and the air density drops due to excess heat, sapping power. So BMW will tightly control this process using precise injection nozzles and software (suspect, lots of software). Is this something new? No, Oldsmobile brought out the Jetfire Turbo Rocket in 1962. It utilized a turbocharged aluminum V8 supplanted with a water/methanol injection kit. The water/methanol mixture was sold by the Oldsmobile dealers under the name, ‘Turbo Rocket Fluid’. Ha! The following Olds video is worth a watch for your daily minimum recommended dose of cheese. Of course hot rodders and tuners have been using this for a long time. Wander out to any BMW message board and look for water/methanol injection threads (often beginning with the introduction of the N54) and you can spend weeks reading. Heck, I had a late ’70s Mustang with the turbo 4 cylinder that was modified with a water/methanol kit – however, if I may borrow a phrase from Top Gear, it was, “Ambitious, but Rubbish”. So why was “Those Magnificent Men In Their Flying Machines” an appropriate tune? Well, water/methanol injection was used in aircraft during World War II to increase available power on takeoff for supercharged/turbocharged engines. In fact BMW used a water/methanol injection process on the TQ variant of its successful 801 radial engine. Over 70 years ago. There is nothing new under the sun.